A very groovy record from a very unique band – a homegrown set by an obscure Pennsylvania combo from the 70s – a group who were equally schooled in jazz fusion and progressive rock! 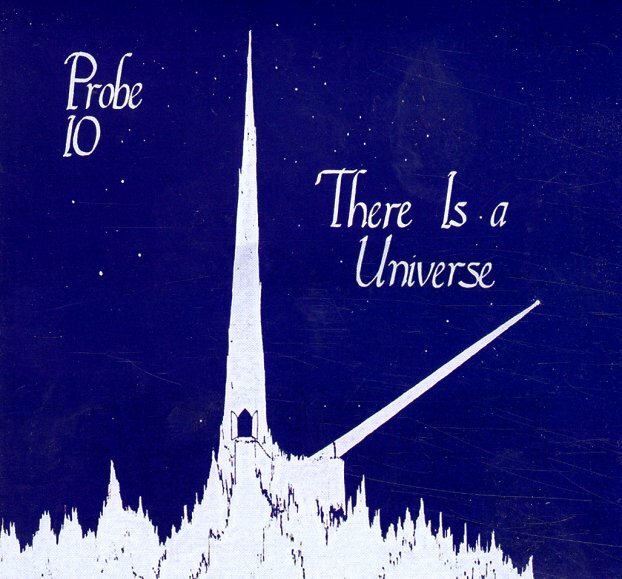 Probe 10 are a rock group at their core, but they've also drank heavily from the brew of 70s Mahavishnu Orchestra, Return To Forever, and electric Miles Davis – and use all those elements to forge these really creative explorations in music – tracks that stretch out with some great lines on Fender Rhodes, and also feature solos on trumpet, flute, and guitar – mixed with vocals that are sometimes surprisingly poetic. The best passages are instrumental – and these guys definitely have a King Crimson inspiration, too, although maybe without the chops – and titles include "There Is A Universe", "Invasion Of The Mallandroids", "Intergalactic Crossfire", "To Improvise A Dream", and "Galaxy Five". CD features 5 more bonus tracks – including "The Playing Of The Game (parts 1 & 2)" and "Enchanted Mountain (parts 1 & 2)". © 1996-2019, Dusty Groove, Inc.